I'm not sure what it is about lighthouses that compels me to wander sometimes far off the main track to shorelines that, to this day, remain wild and remote. It's probably the history behind them coupled with the natural beauty that invariably surrounds them that piques both my major interests...that, and they are so darn photogenic! CLICK HERE for a Google Map of MICHIGAN Lighthouses included in these galleries. 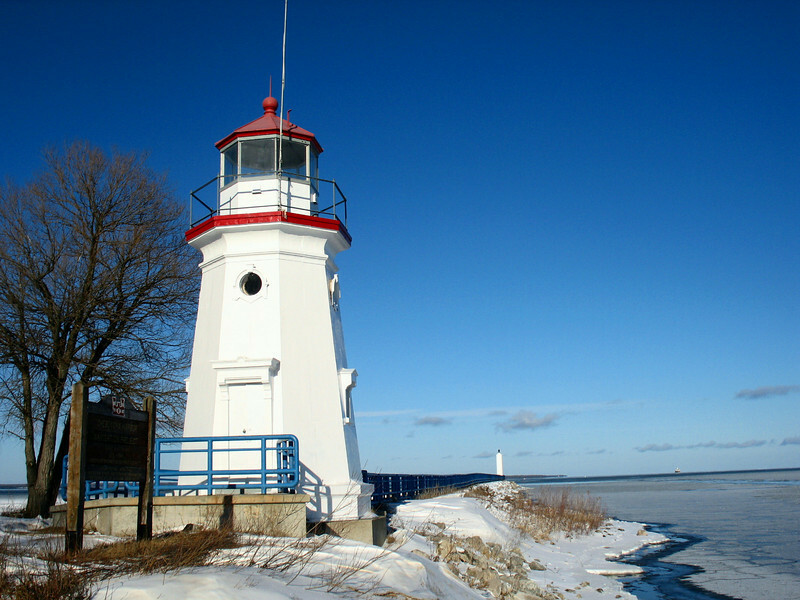 CLICK HERE for a Google Map of ONTARIO Lighthouses included in these galleries.